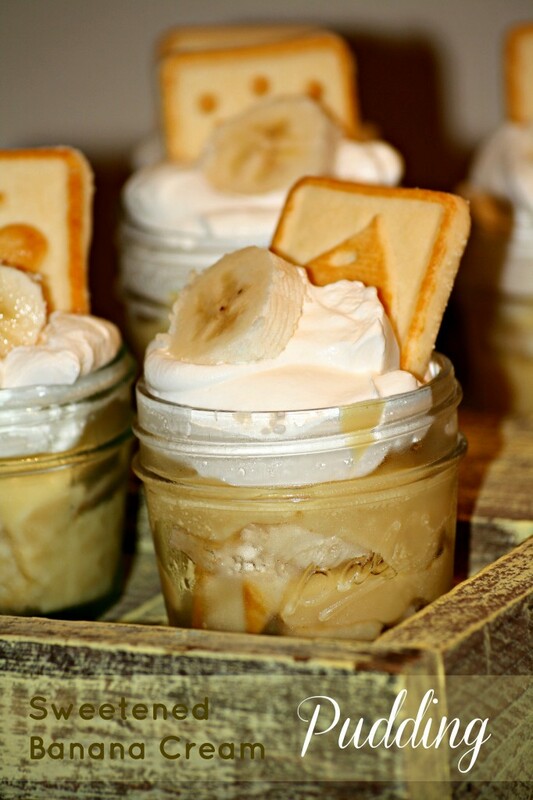 Banana Cream pudding holds a special place in my heart. It’s one of my mom’s specialty pies that she always makes. I could eat one of her pies all by myself. Being a foodie though, I’m always looking at what other people are cooking up. When I saw on Pinterest that people used Pepperidge Farm Chessman cookies instead of Nilla Wafers for the crust I was intrigued. And then someone else added sweetened condensed milk. Yes, please! Nestlé has a wonderful version, La Lechera, that I was just wanting to use. So I did. Let me just tell you, this version is wonderful. Just an extra hint of sweetness and then that bite of surprise with the cookies. Served in mini mason jars. Perfection. In a medium saucepan, add pudding, milk and condensed milk. Bring to a slow boil over medium heat, stirring constantly. Cook for 4-5 minutes then take off heat. In 12 mini mason jars, add Pepperidge Farm Chessman pieces to the bottom. Pour in banana cream mixture. Top with banana slices. Pour in more banana cream mixture. Cover mason jars with Saran Wrap and place in the refrigerator to set (at least 1 hour but you can also leave them overnight). Once cooled and set, top with Cool Whip. Garnish with banana slice and cookie.